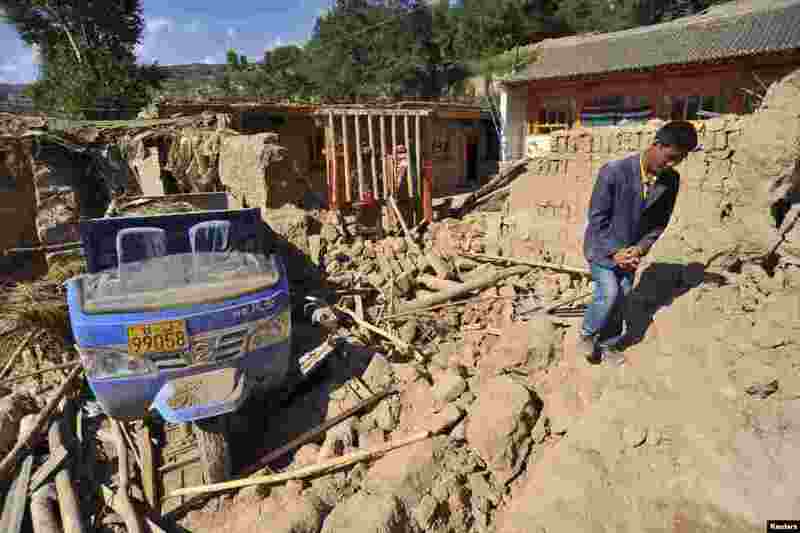 5 A man walks past a collapsed house after a 6.6 magnitude earthquake in Minxian county, Dingxi, Gansu province, China. The earthquake killed at least 89 people with hundreds injured. 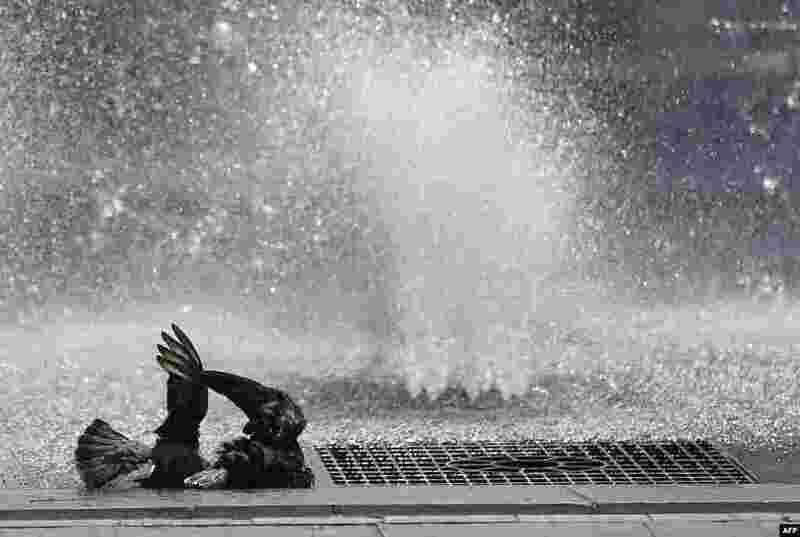 6 Pigeons cool down in fountains in Antibes, southeastern France. 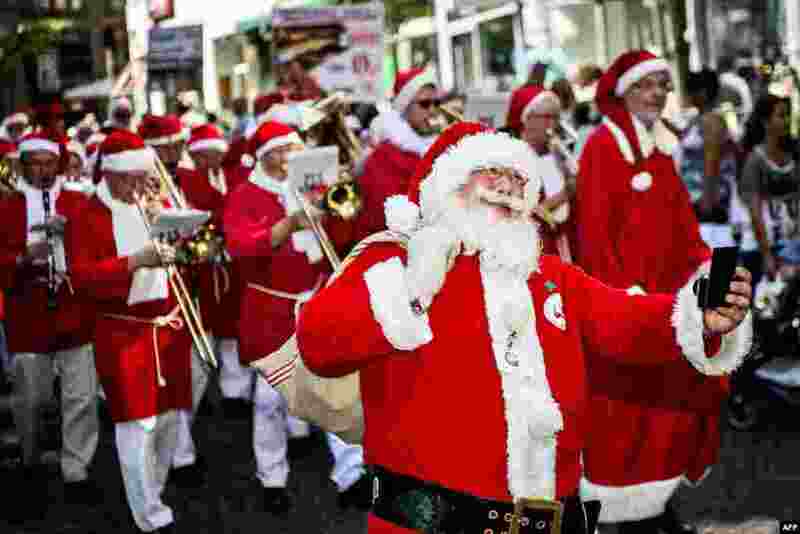 7 Santas from all over the world parade in the streets of Copenhagen, Denmark, during the annual Santa Claus World Congress. The Santa Claus World Congress takes place in the world's oldest amusement park, Bakken, 10 km north of the capital. 8 Dan McManus and his service dog Shadow glide together outside Salt Lake City, Utah, USA. McManus suffers from anxiety and Shadow's presence and companionship help him to manage the symptoms. 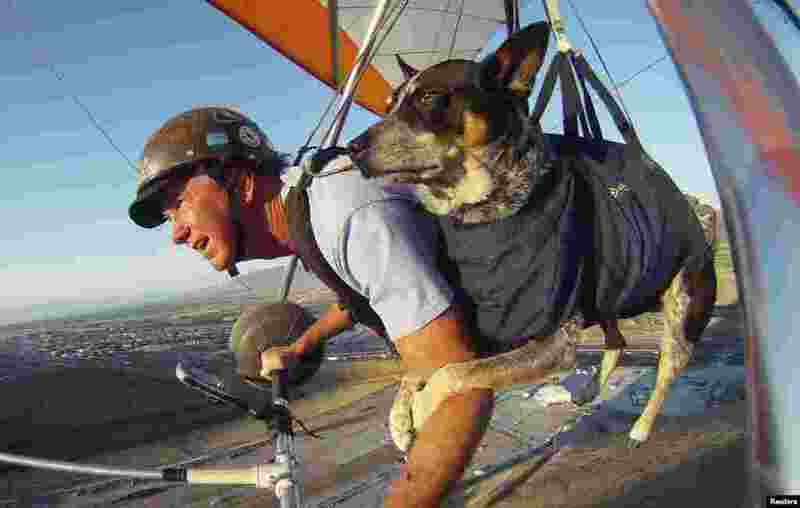 The two have been flying together for about nine years with a specially made harness for Shadow.